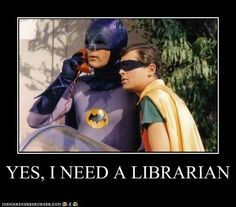 Librarians – the real super heroes. 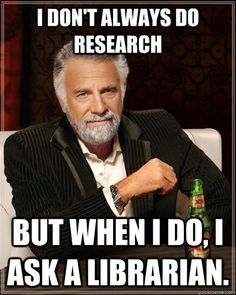 School librarianship is a complex multi-layered profession requiring a broad range of knowledge, competencies, and skills. You have every reason to be proud of what you know and what you do. 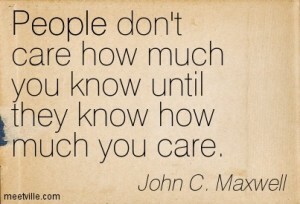 And yet many of you find your abilities overlooked by colleagues and administrators. Despite how much you can bring to student learning experiences, teachers at middle and high school often do not collaborate with you and elementary teachers are not interested in working cooperatively on projects. Our work is a far cry from the occasionally assumed, “Why do you have to go to college (let alone graduate school) to help people check out books?” You need to understand how students learn, be familiar with the curriculum across subjects, and through the grade levels. You sometimes move from special needs students to those in honor classes and then to English Language Learners within the span of a single day. AASL’s Empowering Learners: Guidelines for School Library Programs identifies your roles as Teacher, Information Specialist, Instructional Partner, and Program Administrator. You need to be well-versed in the Common Core State Standards and keep up with the latest in technology resources, apps and on the web. You must be equally skilled in large group and one-on-one instruction. That is a lot of hats. What you do is unique in the school. No one else can do it. So how can we be so overlooked by the teachers and administration? Yes, they’re focused on their challenges and requirements, but can’t they see how you can help? The truth of the situation is – if you want to change attitudes you might want to take a closer look at yourself. 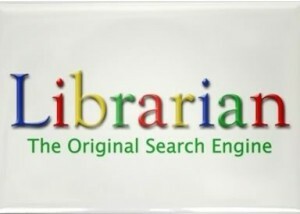 Here’s an example – I knew a school librarian who felt she was exceedingly competent. Unlike many school librarians, she had her Masters from an ALA accredited school. She flaunted her background to the clerk who was working on a Masters from a school with NCATE accreditation and belittled the rigor of the course work. She was knowledgeable, but she wasn’t successful as a librarian. Ours is a relationship profession. Her associations with teachers was distant and perfunctory. They felt she didn’t like the students, and to some extent the students agreed with their teachers. She was always the “authority” and would direct students to where they needed to go rather than accompanying them. Whenever possible, she spent time in her office, which by choice was in an area without windows where she could see who was in the library. On the other hand, the clerk enjoyed a friendly give and take with students. She was interested in who they were as people. She made a point of knowing the teachers and had conversations with them about their families and what they were doing after school. It’s not that she was close friends with everyone, but she was open and welcoming, always ready to help out. Even after she got her degree, she didn’t think it demeaning to occasionally run off copies for a teacher who was in a rush to get to class. Fresh out of library school, the former clerk had no problem getting teachers to collaborate with her. They were open to her suggestions and support and sought her out. Something we can all hope for. 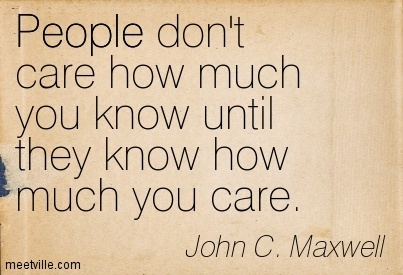 As John C. Maxwell said, “People don’t care how much you know, until they know how much you care.” How are you building relationships with your faculty, students, and administrators? Are they going well? How can you tell? When you regularly check in on these questions and act on your answers you’ll see your partnerships and role grow in your school.